AI Chatbots and IoT infringements are common fraud today; many experts forecast that these threats are quite impactful on the future as well. Companies today need to choose the right firewall solution providers to safeguard their reputation, data, and bottom line. IT managers set firewalls to certain system needs, ensuring no data vulnerability. Once implemented, firewall tools guarantee that security is monitored. From software that secures terminals, to state of the art hardware barriers between local and external networks, the concept of the firewall has broadened over time—in terms of both technology and definition. With cyber-infiltration lurking at every corner it is becoming increasingly important for companies to be as invulnerable as possible. Malware in worm or Trojan forms can squirm their way into servers, as was the case with the recent WannaCry attack, and so with the advent of application layer filtering, deploying deep packet inspection for intrusion prevention, lends unprecedented levels of security to the enterprise class. In the line of hardware, it is important to note that simply fortifying the network at one device isn’t enough—the focus must be shifted to formulating a holistic strategy that integrates every device on the network to become a point of defense. The connected world of today is enclosed by a fabric of networks. Needless to say, avalanches are triggered by single snowflakes, and in establishing market dominance in firewalls, competitors are constantly innovating to define more niche and air-tight solutions around security concerns, striving to avert infiltration. For this edition of Enterprise Security magazine, a distinguished panel comprising of CEOs, CIOs, analysts and our Editorial Board has reviewed companies with a proven record of expertise in firewall space. In our selection we looked at companies’ ability to identify client requirements, develop strategic approach and provide support and customization through their offerings. 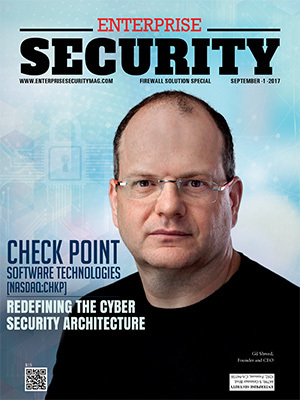 Check Point Software Technologies, a multinational firewall solution provider, offers combined hardware and software products for cybersecurity, including data security, endpoint security, mobile security, network security, and security management. The company’s solutions protect clients against cyberattacks of the fifth generation, with a leading industry catch rate of malware, ransomware, and other cyberattacks. In addition to the most comprehensive and intuitive one control point security management system, Check Point offers a multi-level security architecture that defends cloud, network and mobile data held by companies. 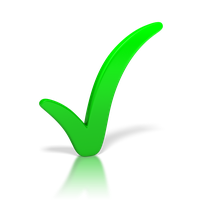 Today, over 100,000 companies of all sizes are protected by Check Point’s solutions. IT Solution is a one-stop-shop for any IT solutions for enterprises. The company specializes in providing IT solutions and is committed to facilitating workload reduction by providing innovative IT requirements and improvements in the management process. Not every customer needs a big server to deliver a custom package rather than a single product. 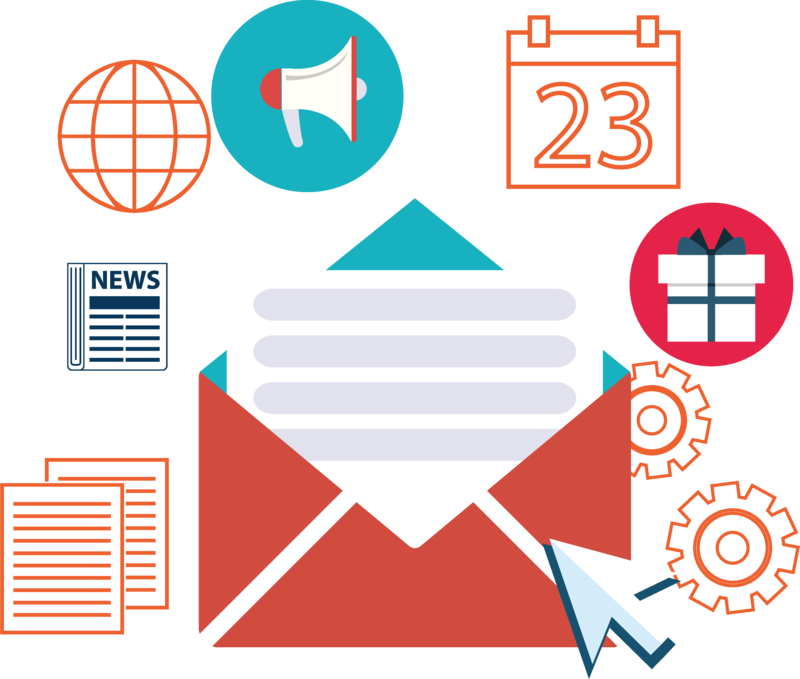 They ensure flexibility with their IT solutions and recommend the package that best suits customer requirements. The company therefore engages and listens to customers so that they are able to understand their needs and provide them with the best solution. As a provider of firewall solutions, Secucloud GmbH offers a cloud-based security-as-a-service platform for providers in particular. The Elastic Cloud Security System (ECS2) of the company provides for the benefits of enterprise-wide security solutions to a wide range of markets and target groups such as mobile communications and fixed-line customers, small businesses and homes, and SMEs. It requires no special hardware or proprietary devices, scales automatically and supports over 100 million users and their connected devices. With headquarters at Hamburg, Seculoud has worldwide operations in countries like the U.S., India, Latin America, South-East Asia, Africa, and the Middle East. Skybox Security is a leading cybersecurity management and firewall solutions provider that offers integrated and comprehensive security solutions. In order to eliminate vector attacks and to safeguard everyday business data and services, Skybox gives security leaders the cybersecurity management solutions. The company’s solutions enable efficient vulnerability and threat management, firewall management, and continuous monitoring of compliance with unparalleled visibility and contextual intelligence of attack surfaces. Created in 2002, Skybox is a private company that serves around 2000 global companies and government agencies through a global sales and support team. They serve an international client base. The firm is based in San Jose, California, headquartered at Silicon Valley and has operations across the world. The leading industrial cybersecurity and firewall solution provider, Waterfall Security Solutions, has been protecting key industrial networks since 2007. The company revolutionizes the way that businesses’ physical assets and industrial processes are protected against cyber attacks. Patented unidirectional Waterfall products allow safe IT or OT integration, remote control and diagnostics, cloud connectivity, and manipulative forensics with no firewalled connectivity vulnerabilities at all times. Its growing client list includes critical national facilities and utilities, power plants, nuclear power plants, offshore platforms, refineries, pipelines, pharmaceutical, and chemical and manufacturing plants. The Waterfall products support the broadest range of industrial and remote monitoring platforms, applications, databases, and protocols on the market, and are deployed across North America, Europe, the Middle East, and Asia. 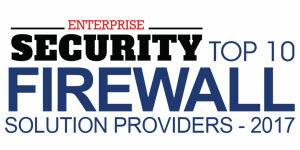 F5 Networks is one of the pioneering firewall solutions providers. The F5 products can be highly programmed and integrated with any environment, on-site or in any cloud. To date, 48 of Fortune 50 firms are relying on F5 to provide applications through which customers and staff can access securely, from any location, on any device. The company provides freedom to access any app securely and confidentially to the world’s leading businesses, service providers, governments, and consumer firms. F5 also offers cloud and safety application services to organizations, without sacrificing speed and control, to take up the infrastructure they choose. The Big IP Advance Firewall Manager (AFM) of the company offers visibility and intelligence in attacks, and also combines with other BIG-IP solutions to enhance and unify security abilities. The company also has the ability to access and unify security. 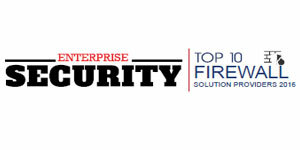 Fortinet is one of the world’s largest firewall solutions and services providers. With intelligent, seamless protection across the expanding attack surface, the company enhances its clients’ ability to meet constantly increasing network performance requirements of today and the future. The safety of all the key security challenges, whether in networking, application, cloud, or mobile environments can be addressed through Fortinet Security Fabric architecture alone. Fortinet ranks no.1 in the world's most security devices, and companies from around the world rely on Fortinet to protect their data. Fortinet has offices around the world with headquarters in Sunnyvale, California. Founded in 2000 with NetScreen’s visionary founder and former CEO Ken Xie, Fortinet is led by a strong network and security management team with extensive experience. McAfee is a leading firewall solutions provider that has created a comprehensive and comprehensive global intelligence threat network over the past 30 years while securing devices against viruses, malware, file-free attacks, and other threats. This basis constantly analyzes and collects threat data from more than 500 million endpoints worldwide. McAfee's history is based on decades of research on threats and vulnerabilities, product innovation, practical application and a brand that is trusted by individuals, organizations, and governments. To protect, detect, and correct threats together, the company offers security analytics, SIEMs, and machine learning solutions. The company protection against endpoints, cloud access security broker (CASB), and McAfee ePolicy Orchestrator products are united to orchestrate the whole lifecycle of the threat. For over 20 years, WatchGuard has developed and delivered advanced technology for a firewall with its solution that is easy to use and handle. WatchGuard allows over 80,000 small and medium-sized businesses from around the globe to protect their most important assets with leading-edge network security, secure Wi-Fi, multi-factor authentication, and network intelligence products and services. WatchGuard makes business-class cybersecurity technology available to all companies in the constant evolution of the cybersecurity landscape and the development of new threats. WatchGuard has offices across North America, Europe, Asia Pacific, and Latin America, and is headquartered in Seattle. Next Generation Firewall (NGFW) and Unified Threat Management (UTM) form the company’s approach toward network security. As a firewall solutions provider, Zscaler is able to securely transform its networks and apps for the first mobile and cloud world by leading global organizations. Zscaler Internet Access and Zscaler Private Access services provide fast, secure connections between users and apps, regardless of device, location, or network. The company’s services are completely delivered on the cloud, making traditional appliances or hybrid solutions impossible to match easier, better security and enriching user experience. Zscaler is the global largest cloud security platform in more than 185 countries to protect thousands of companies and government agencies from cyber attacks and data loss. The Zscaler Cloud firewall ensures safe local internet devices without interruptions.